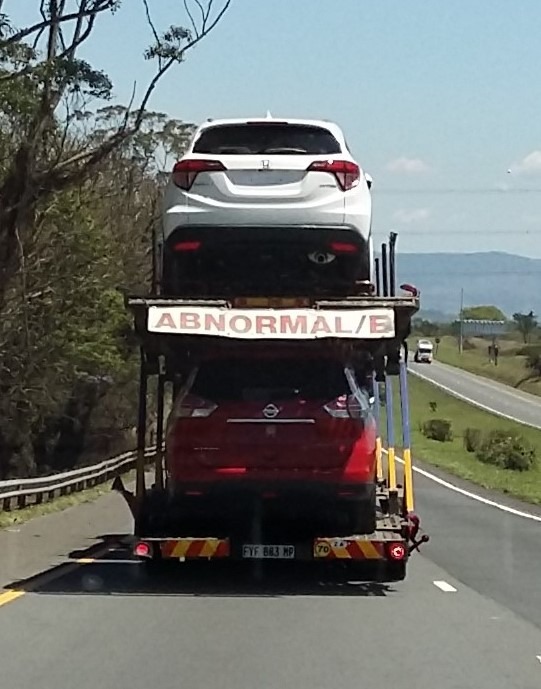 Imagine having to drive around with an ‘ABNORMAL’ sign stuck behind you. No doubt you can think of other drivers who ought to have such signs on their cars or taxis. I suspect that a lot of us walk around feeling as if we have an ‘Abnormal’ sign on our backs; that everyone around us thinks we’re not quite right, not quite up to the job, not quite good enough. We fear that one day we’re going to get to work and they are going to catch us out. It starts at home when we are compared with our ‘more able’ siblings or other children. And it is confirmed in our schooling system, where a particular standard is set and a limited set of measurement tools are used. If your skill set or abilities lie outside of that standard or cannot be measured by the tools in place (auditory, visual linguistic, analytical), you are going to be one of the labelled ones. You don’t measure up. Sometimes others label us. Darwin Smith, highly successful CEO of Kimberly-Clark was asked to what he attributed his success. He said he was told by one of the board members when he was appointed, that he wasn’t really qualified for the job. So he spent the next 25 years trying to become qualified. Seems like he did pretty well. Often we label ourselves. We compare ourselves to others, we set impossible standards for ourselves. We just ‘know’ that we are not really good enough, or as good as we wish we could be. Wishing we could be someone else or like someone else is not going to get the job done – it simply confirms the ‘Abnormal’ or ‘Not quite good enough’ sign. – What can you do, what do you do well? – What would other people miss if you were not around? – What can you do to improve the service you, your department or your company offers? Who can you start discussing some of these questions with? Who can you talk to about what you can offer outside of your job description? Start the conversations. What steps can you take to do what you do even better? There will always be the other stuff in your life; the stuff you don’t like, that you don’t do very well. Those things still have to be done, but carve out space to excel in the areas you are passionate about. Get rid of the ‘Abnormal’ sign in your mind and start to shine.